The invincibility glitch just happened again during my Rancor Defence. You can see Leia is standing on a destroyed wall – the two rancors cannot touch her so she kills them both. Despite the fact they had both been attacking her for at least 15 seconds! 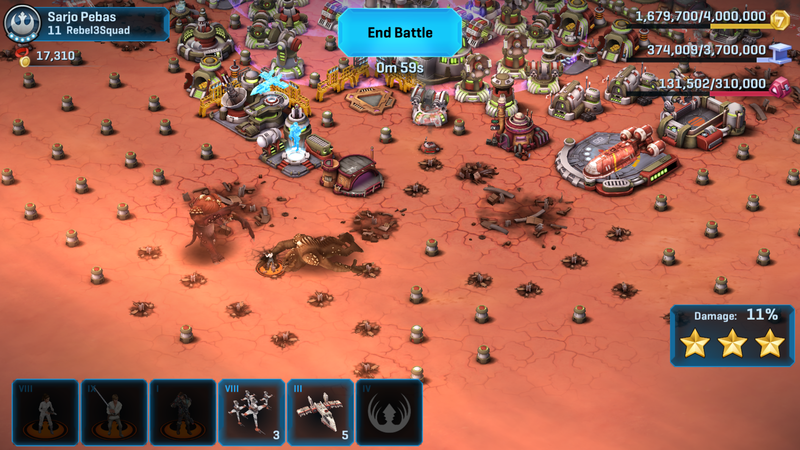 Great when it happens for you – not so good when trying to take a planet when the unit is against you! 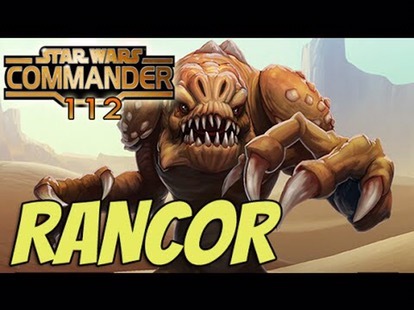 Rancor heroic defence has started again. First time seen my sonic turrets go against them, and they work wonders (level 9 is the prize for those wondering about level 8 being worth it). What is your defence strategy against them? I like using Luke/Chewy/Kessen and in squad centre 4 speeders 2 snipers. 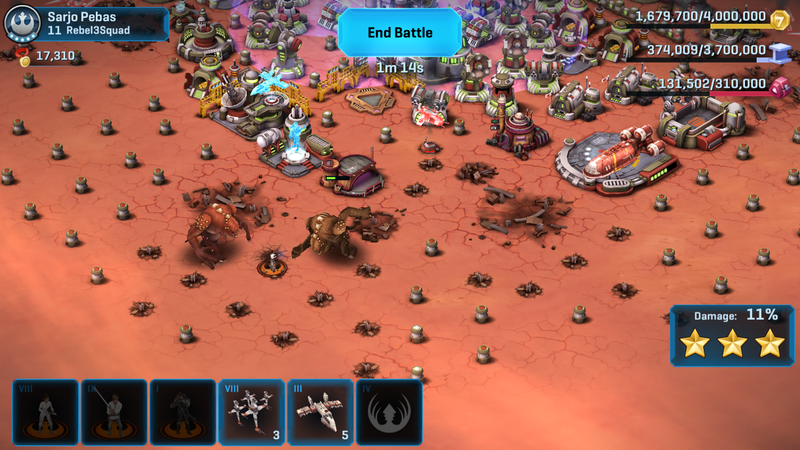 I try to deploy so the heroes and troops go through the buildings of my base – giving them more cover.